True Elegance Awaits. 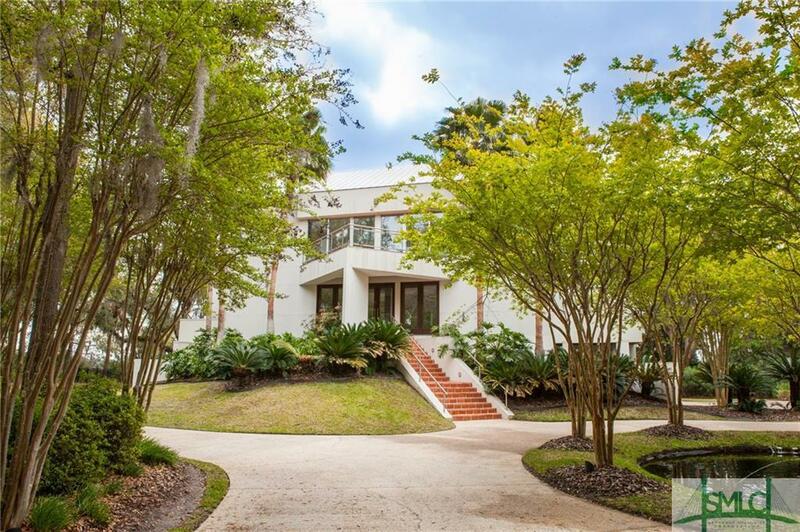 This exceptional home has 'it'; from the high quality construction, exquisite detailing, secluded enclave and yet only minutes to conveniences. 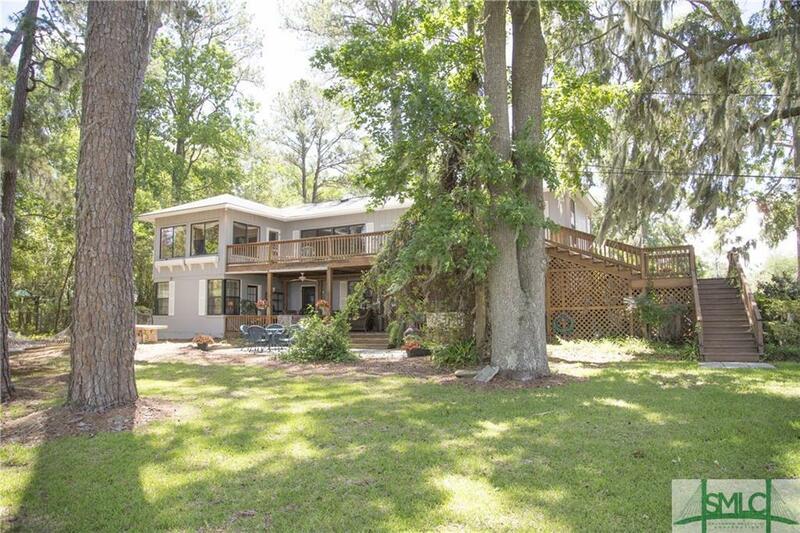 This home is situated on a private hammock with six other homesites overlooking the Wilmington River. 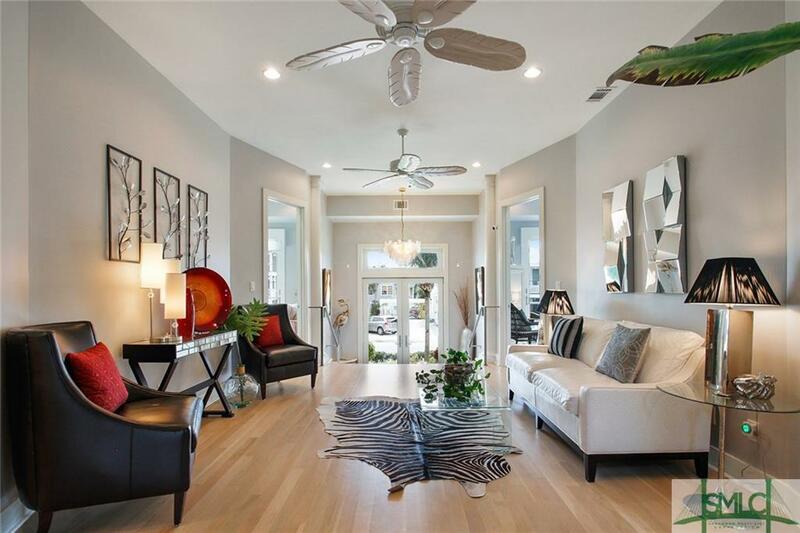 The open floor plan leads one to formal living or family fun. 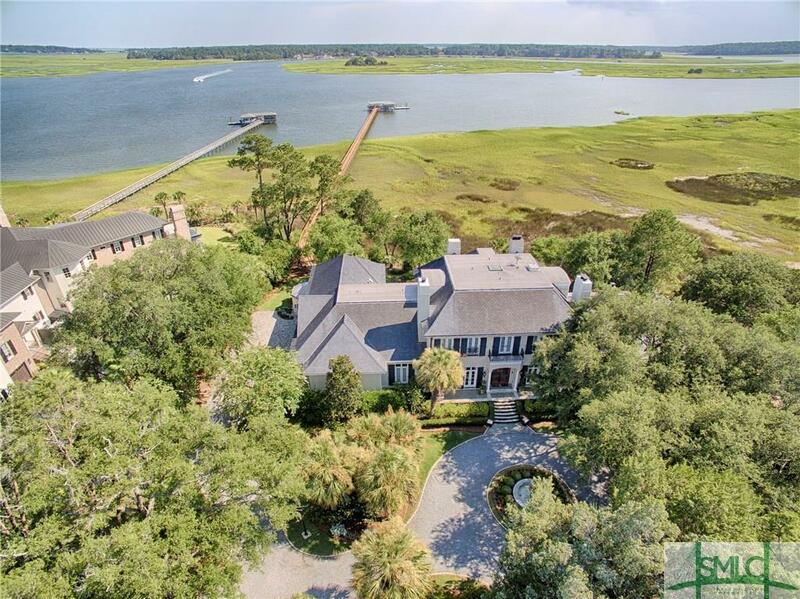 The master is secluded on the first floor with open views of the river and connected office. 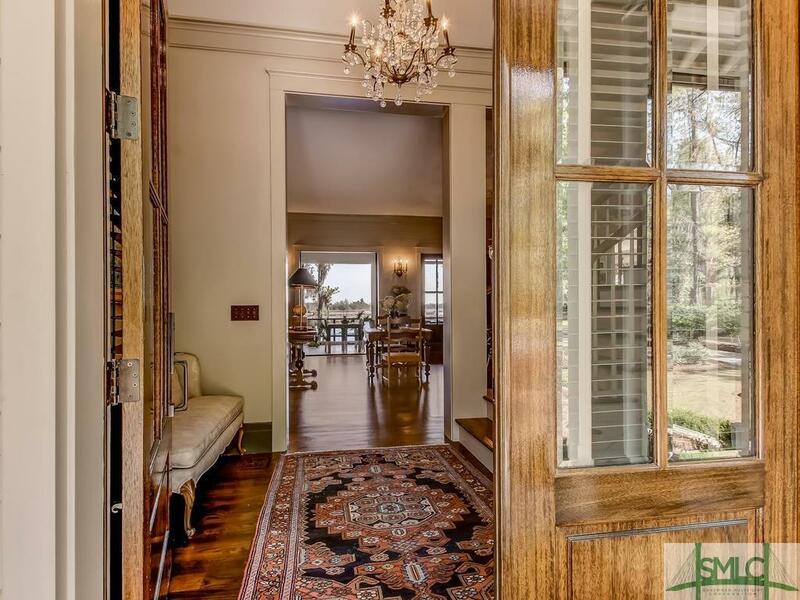 Spend the chilly evenings on the adjacent screened porch with fireplace. 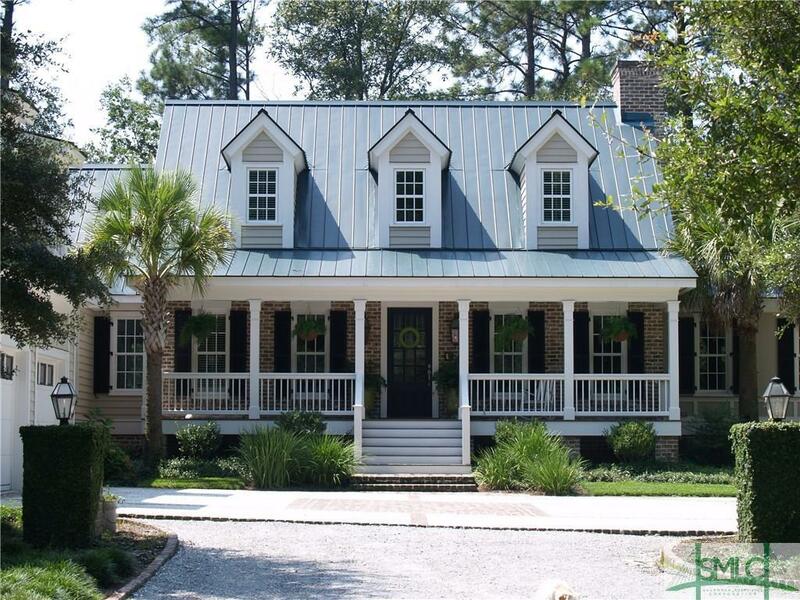 Upstairs is a family delight with a second master overlooking the river, three other bedrooms and gathering area. 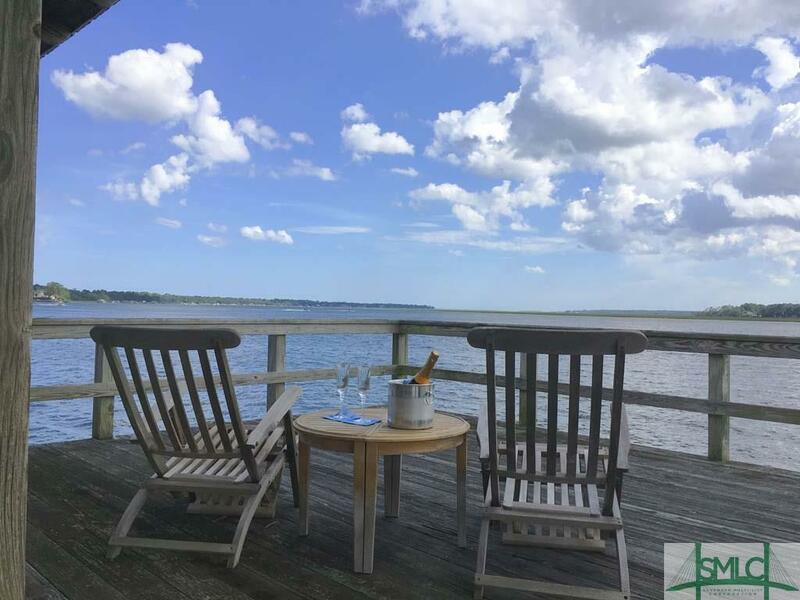 Grab a golf cart and head to the dock with two boat hoists and plenty of space for lounging. Live without a care in the world, and if you run out of milk, it is only 20 minutes, round trip, to the store. 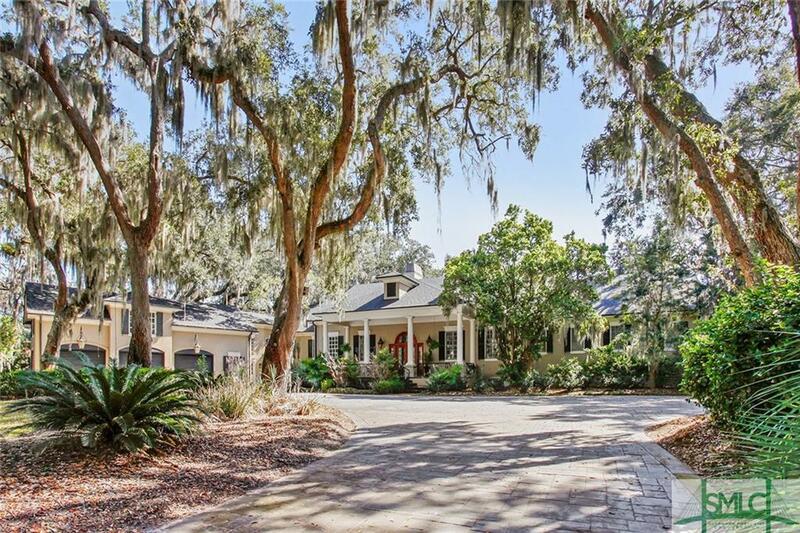 Savannah boasts two private golf courses within 5 mins of the property and the nationally acclaimed Historic District is only 15 mins away. Truly, a magnificent property. Private and luxurious. 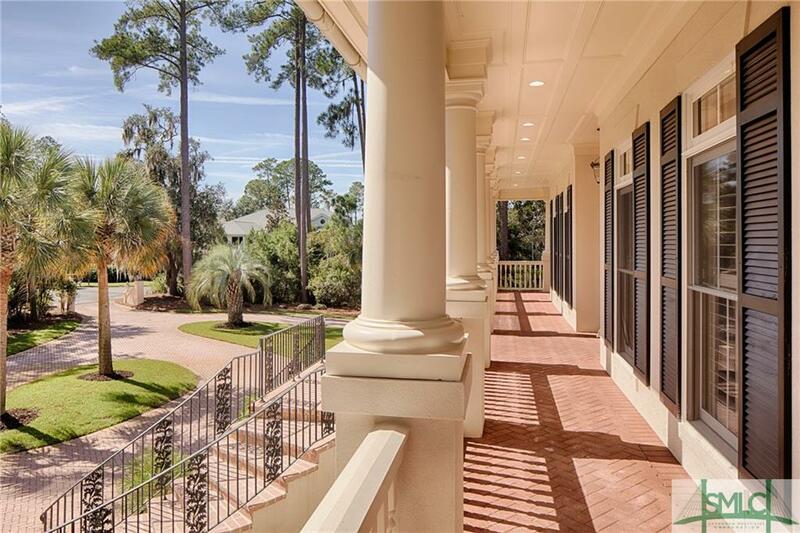 This is a gorgeous stately Ford Plantation mansion with beautiful water and golf views. 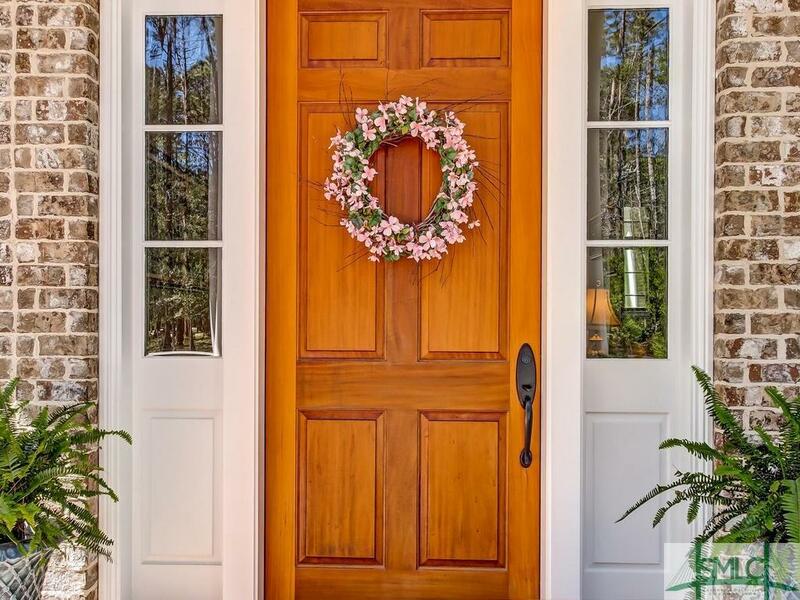 The current owners love sitting on the back porch, which runs the entire length of the home, watching golfers and wildlife go by or just enjoying the immaculate landscaping... or taking a walk in the private side garden. 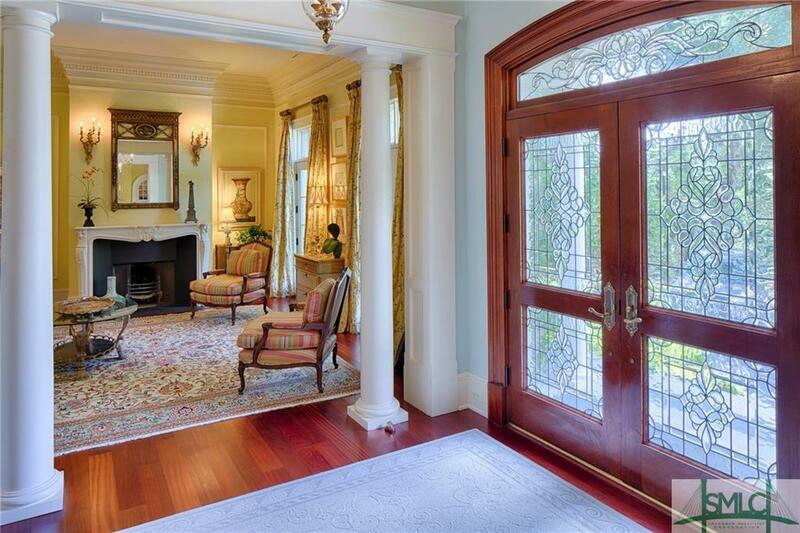 The grand living room is truly marvelous and is one of the favorite rooms along with the mahogany office/library. 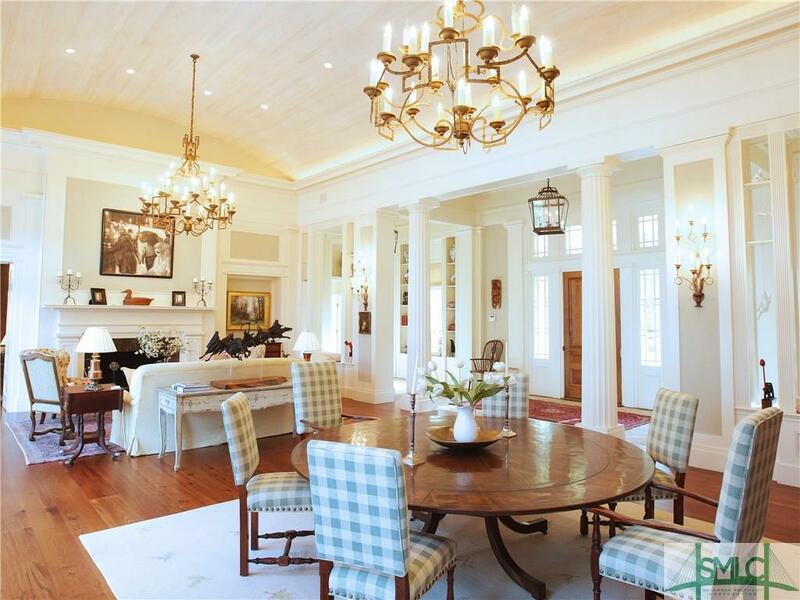 The home has a formal dining room as well as a more casual breakfast area. The home also features an elevator and has plenty of parking with a garage big enough for 2 cars and a golf cart, conditioned. The estate is finished off with a private pool. 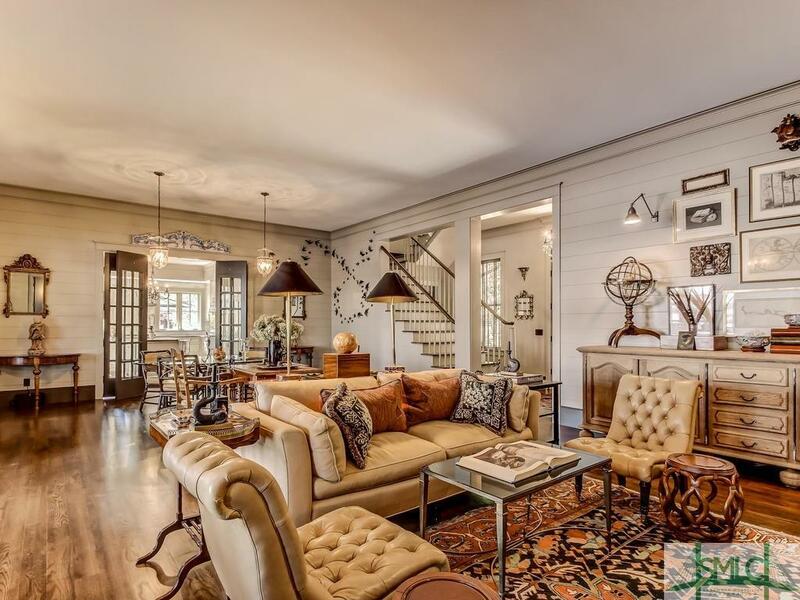 This home has everything and everything that it has is the best of the best. 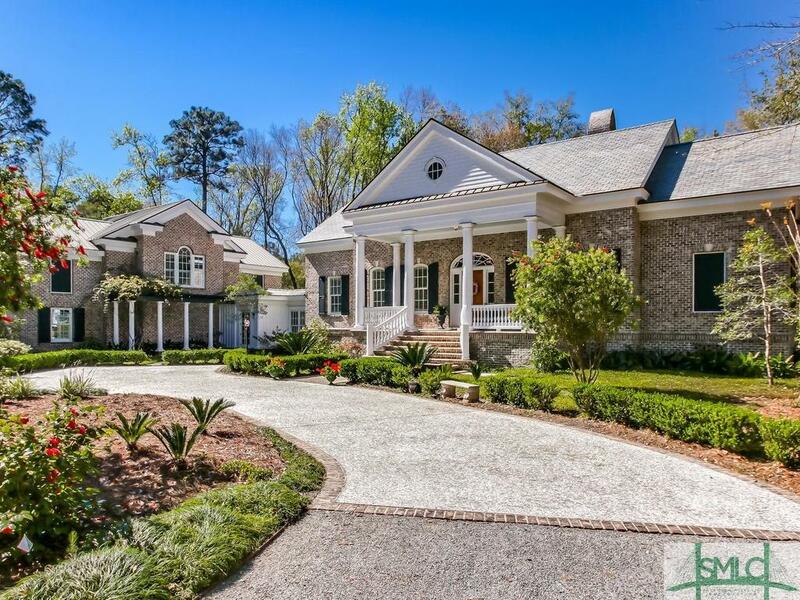 Located in The Ford Plantation you will also enjoy access to private Pete Dye golf, equestrian center, marina, dinning and other world class amenities at The Ford Plantation. 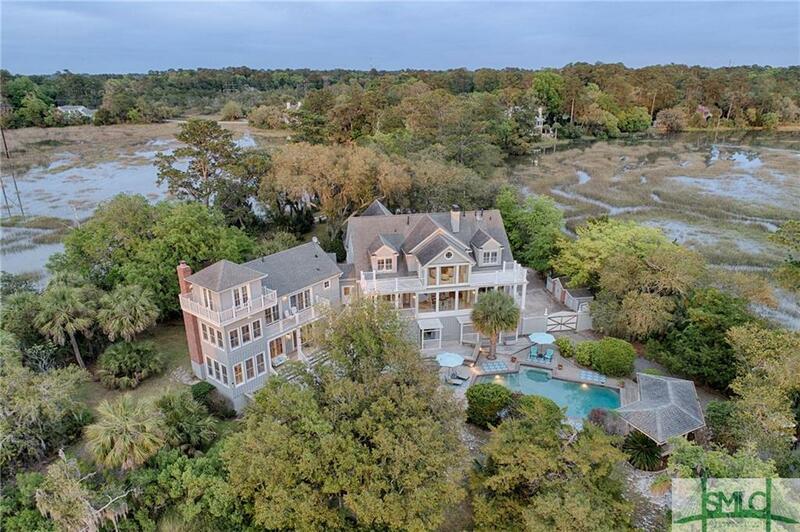 A Gracious Estate Home located on two lots features 6 bedrooms and 9.5 baths with views of Palmetto Golf Course, lagoons and Eastern Marsh. Outdoor area with in-ground pool, brick decking and covered porches. 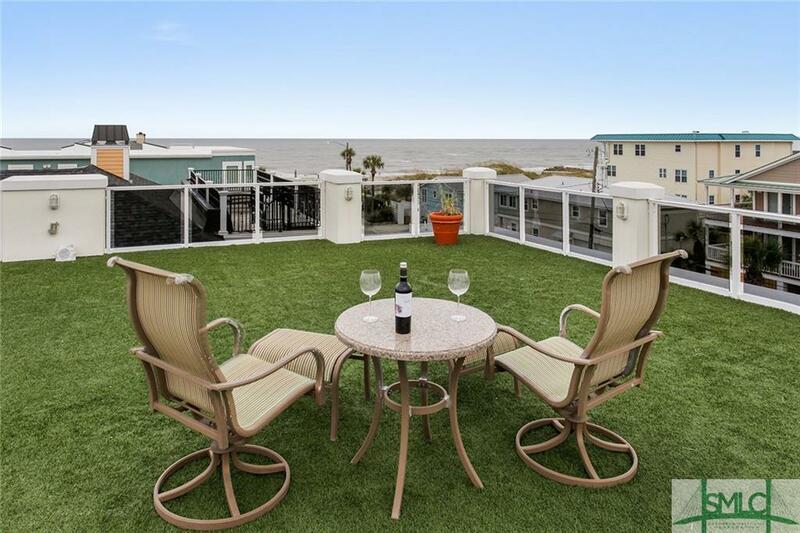 The guest house has covered patio, great room, wet bar, a bedroom suite with 2 baths, Fresh paint and new carpet. 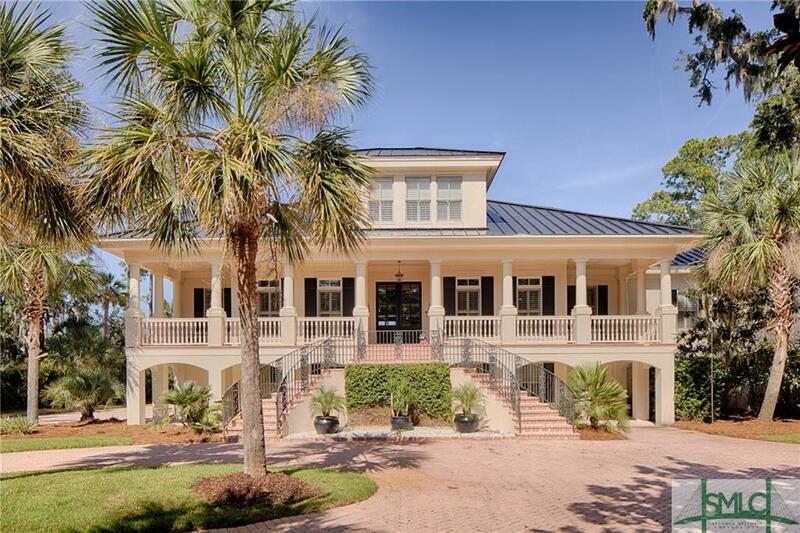 The main house features a gourmet kitchen with wet bar and separate dining area. Oynx flooring in foyer. 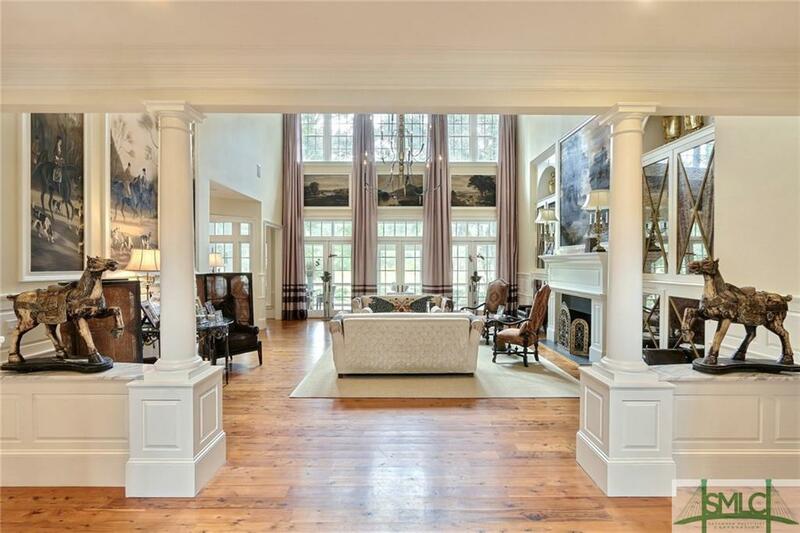 Architectural moldings, columns and heart pine flooring throughout. 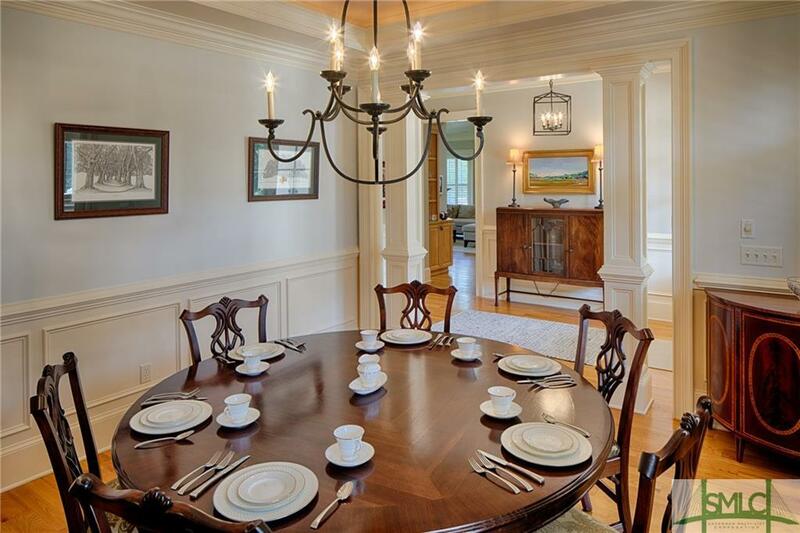 Formal Dining Room, Master suite, guest suite, study with fireplace, and built-ins located on first floor. 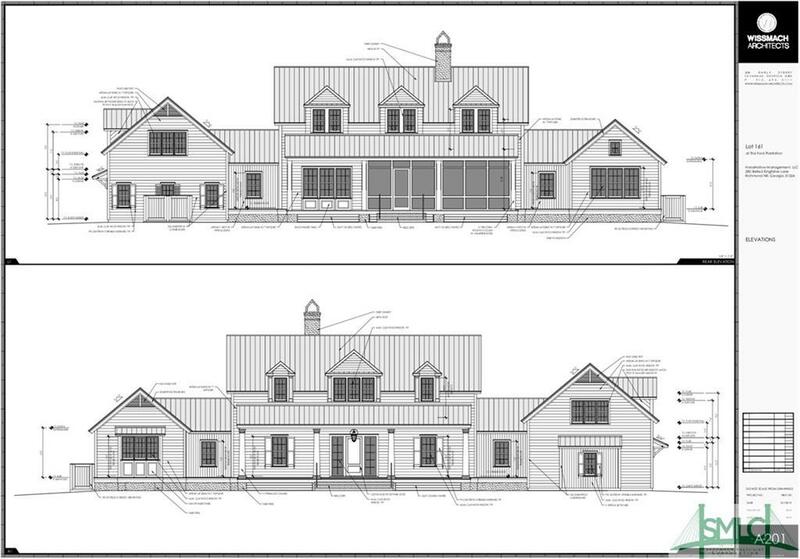 Upper level with loft area, split guest rooms with en-suite baths, additional guest room and office plus a media room. Bonus room over garage with sitting area, eating area, sleeping area and bath. Membership fees required for some recreational facilities. Back on the market through no fault of the seller... 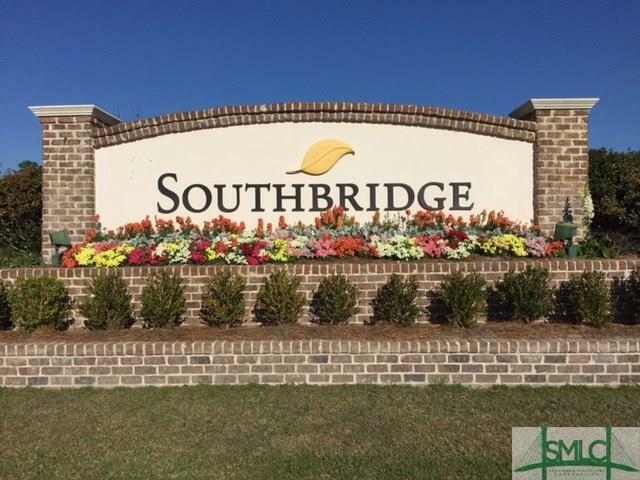 Priced below appraised value!! 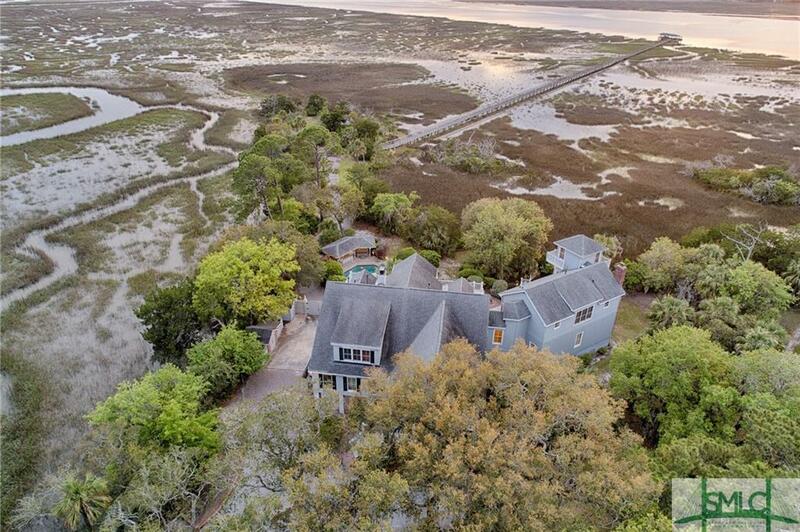 Incredible opportunity to own spectacular waterfront property. 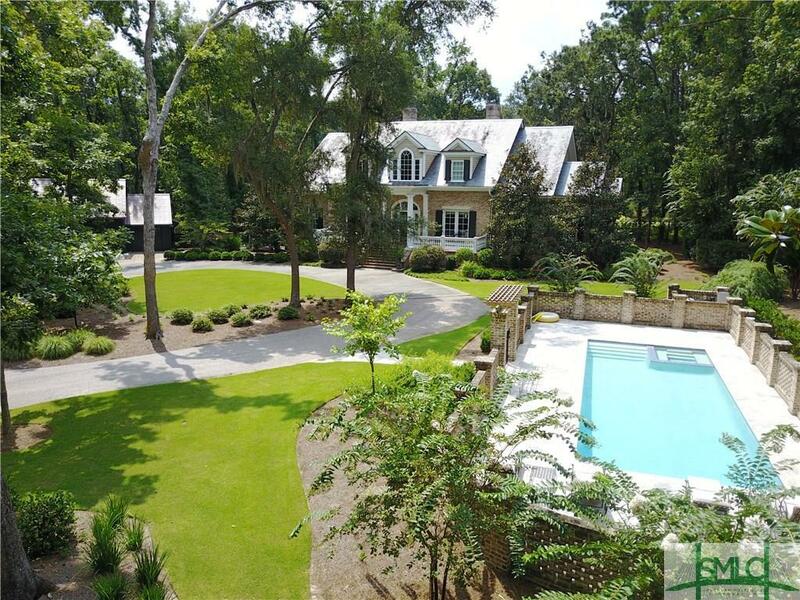 3.3 acres, 3 separate pin numbers. May subdivide or leave as a large estate. 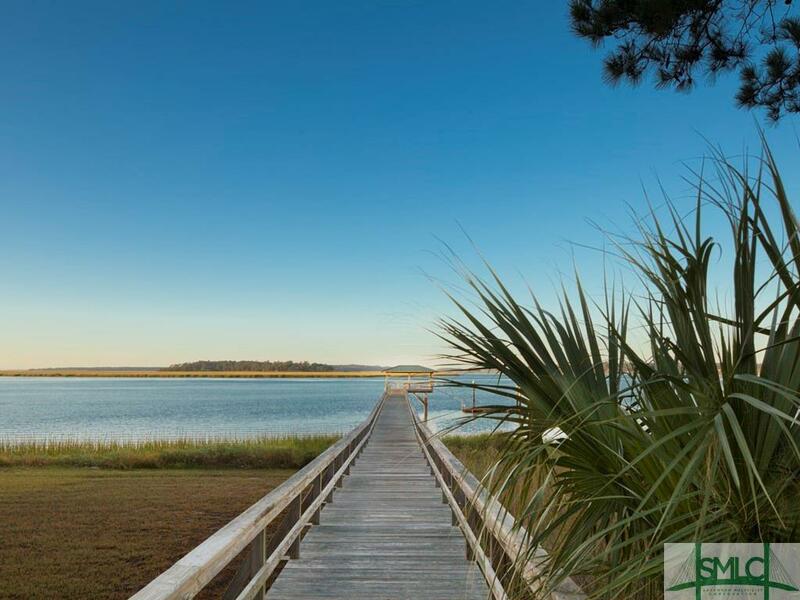 190 ft of river front on Turner's Creek with a 100 ft floating dock. 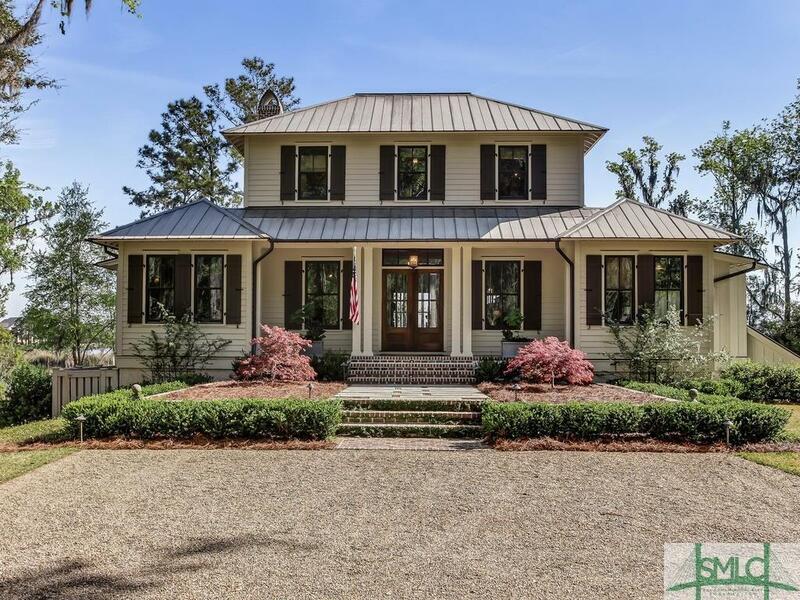 Main house has 4 bedrooms and 3 baths. There are 3 separate rental units, with an income of $2600/month but with the potential of bringing in a lot more. 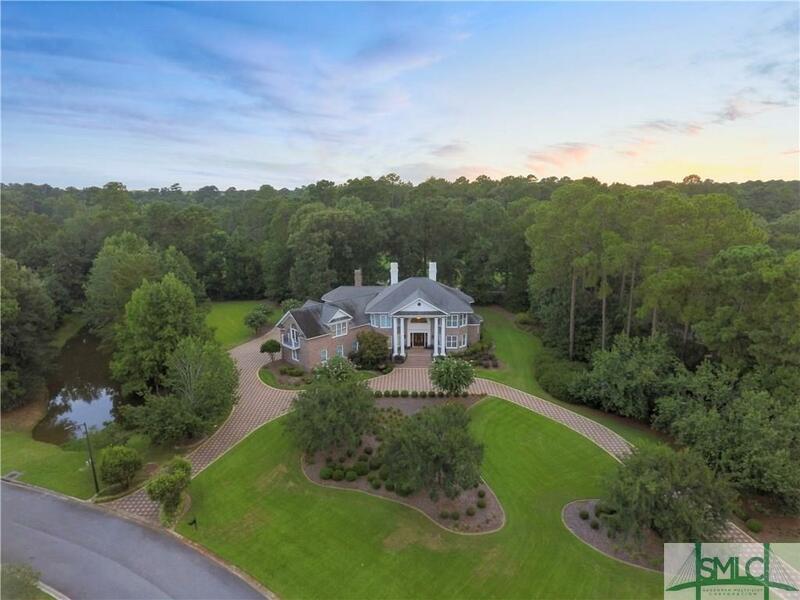 Amazing unobstructed views, high bluff and mature oaks. Savannah Country Club golf course view of number 16. Nothing like it for sale on the Islands! 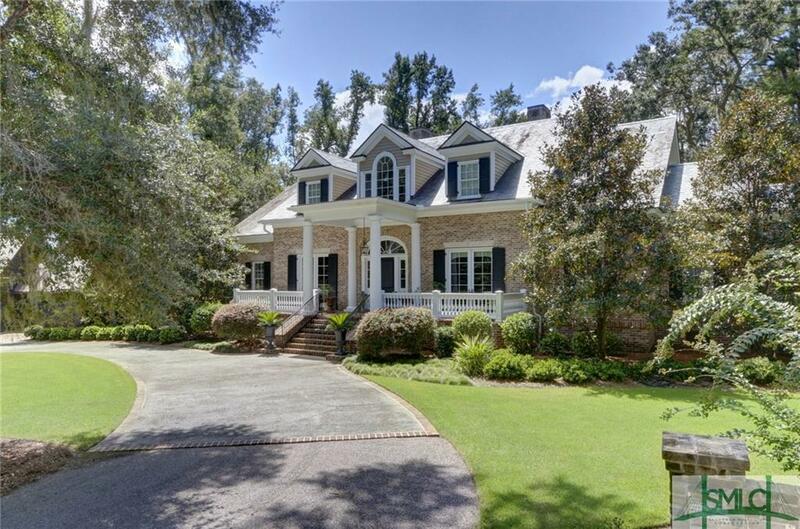 A great Ford Plantation estate home overlooking the gorgeous 5th hole of the private Pete Dye golf course; with a private fishing dock on Lake Harn. 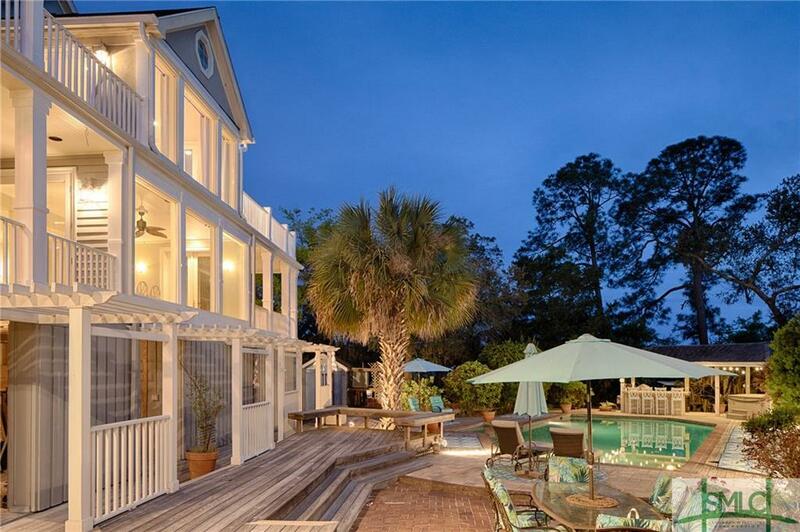 It captures the imagination with all of the outdoor spaces: like the pool and the oyster roasting fire pit, near the separate pool house. 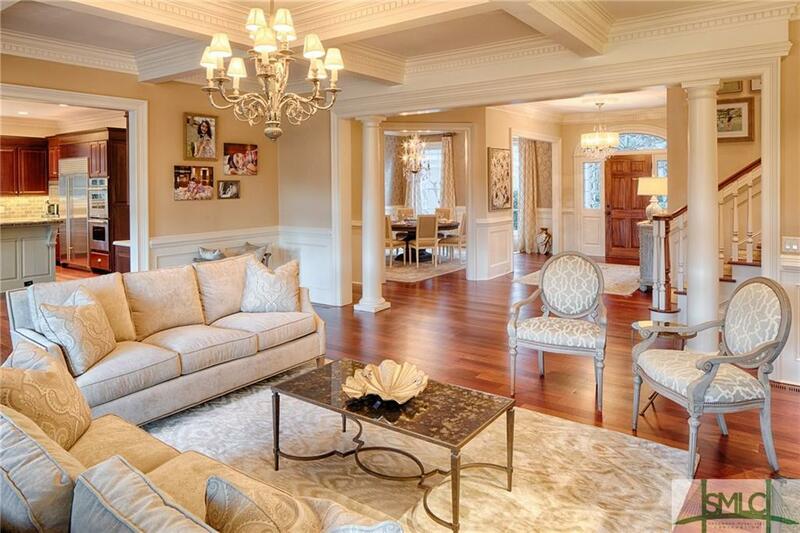 Inside the home is generous with a master suite on the main floor, a study and a gourmet kitchen. Large bonus room above the garage. 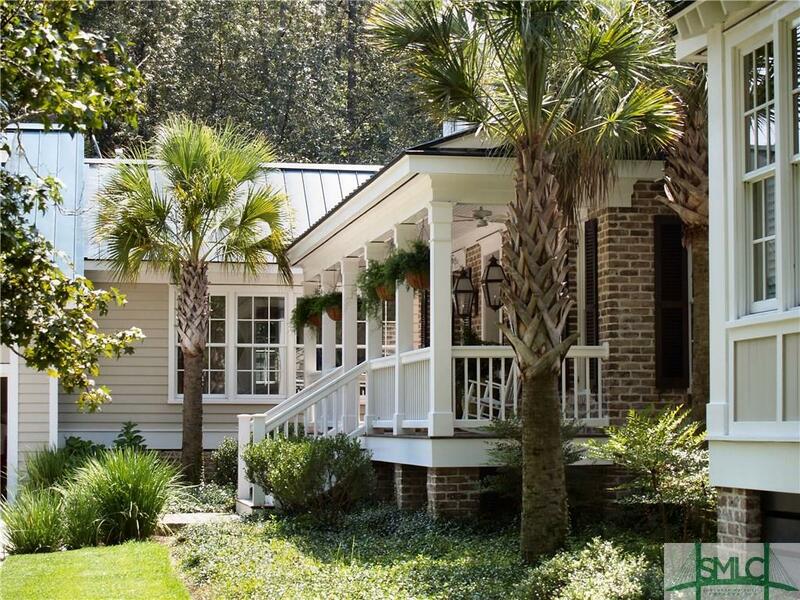 Oakridge Custom Low Country Style Home meticulously designed & crafted. 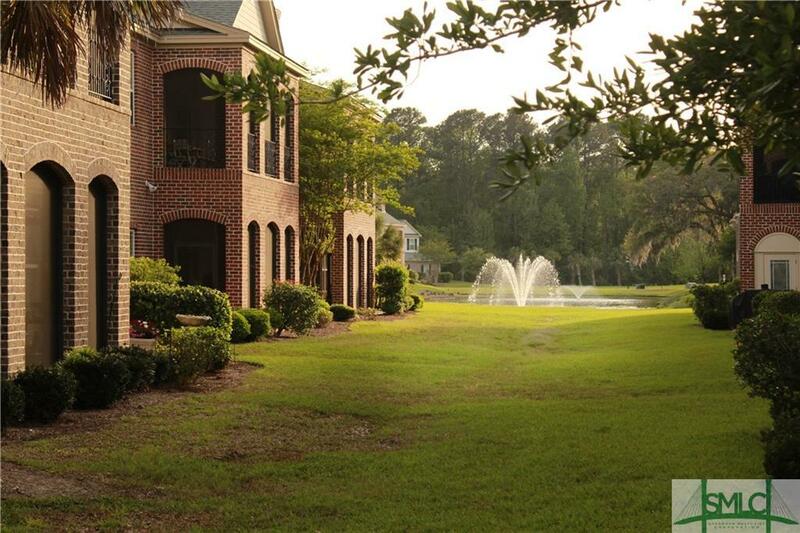 Perfectly located at the end of a cul de sac in a very private setting with wide open marsh/golf course views. 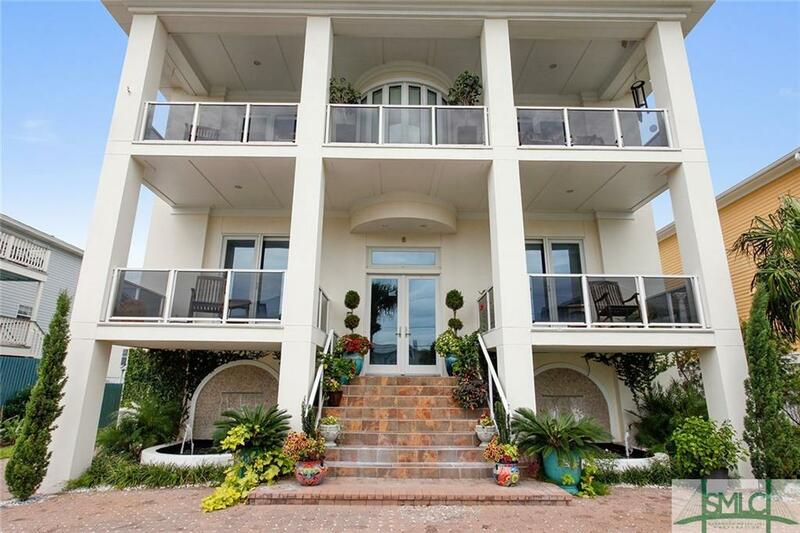 Fine, high end finishes & features throughout. 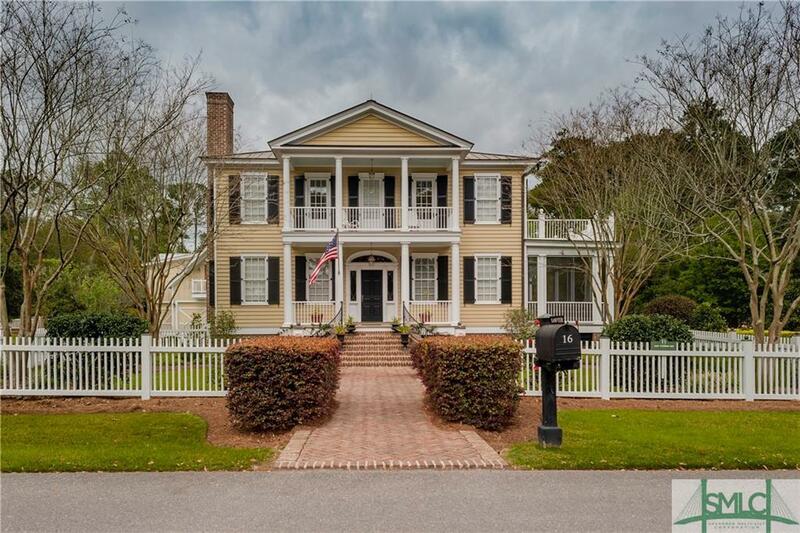 The open floor plan provides spacious living space and gracious entertaining & effortless flow to a screened porch & an expansive open patio w/fireplace & stunning marsh views. 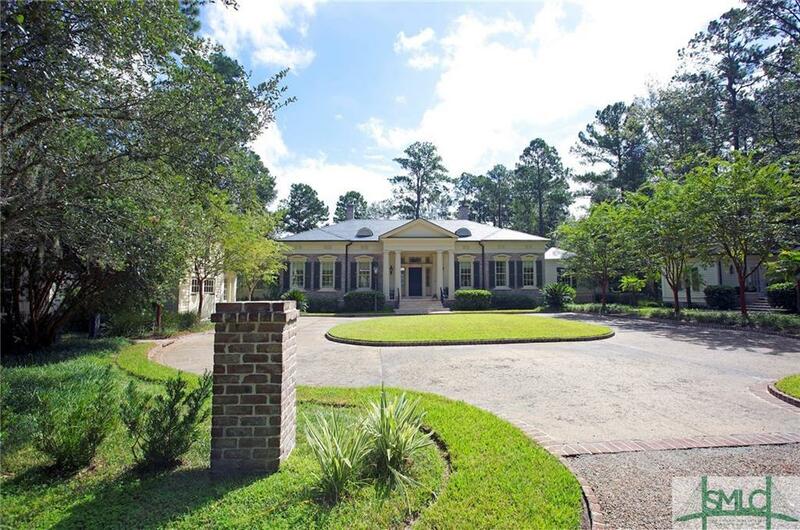 This lovely 5700 sqft home features 5 bed/5 full & 2 half baths. 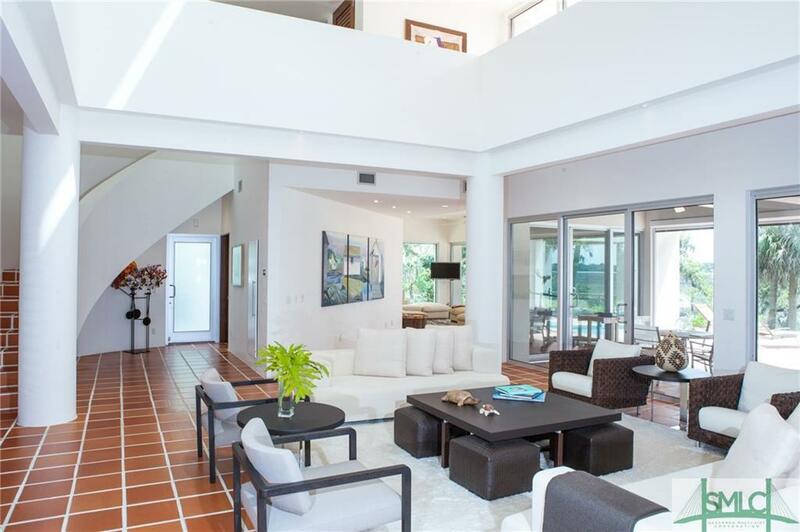 The main level is comfortable w/great flow and centrally located great room. 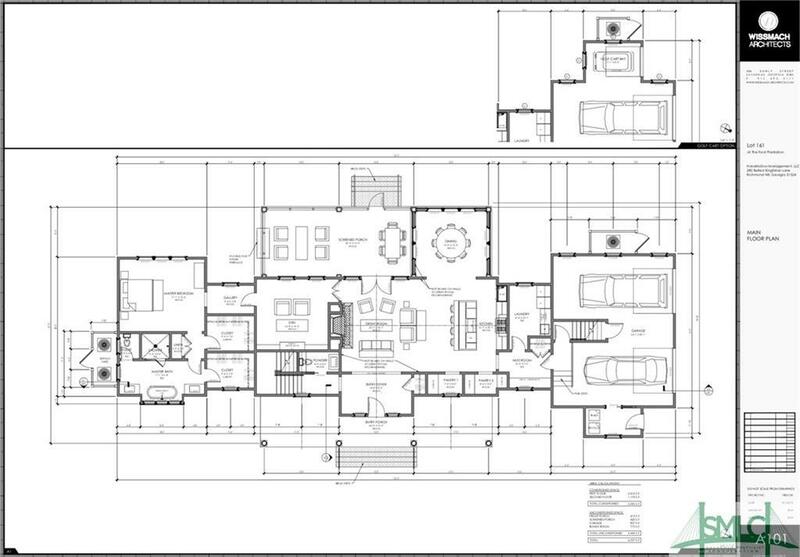 A split floor plan is a plus. Main floor Master Suite with access to patio, plus 2 large ensuite bedrooms. Elevator. The upper most floor hosts 2 spacious ensuite bedrooms. The garden level is fully finished & perfect for many applications: gym, game room, etc. Unusual is the expansive garage opportunity. 3 oversized bays plus more room for your favorite collector autos, motorcycles and golf cart. Click reel above for 3-d interactive video. 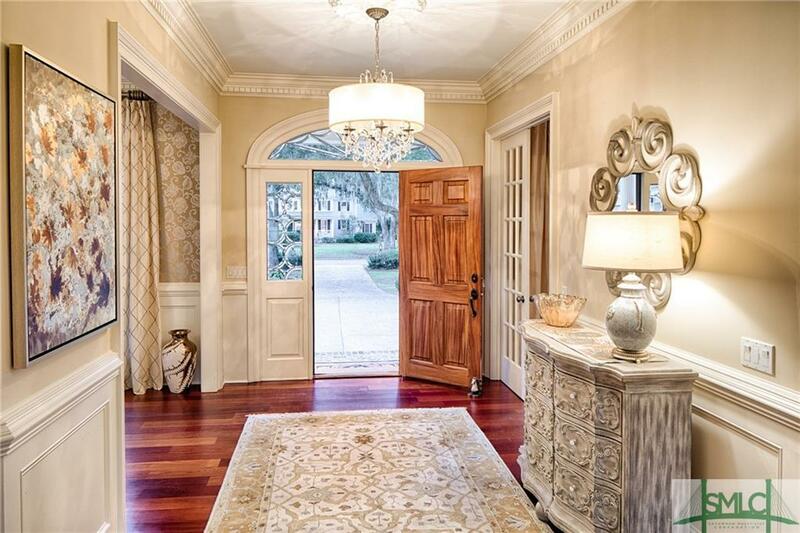 Exquisite home within The Ford Plantation now available for purchase. 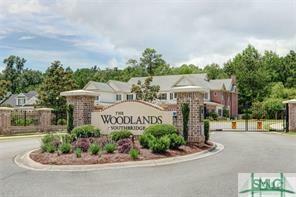 This property is centrally located to the Pete Dye golf course, community pool, sports barn and Clubhouse. Wonderful English gardens and views of the Tree Alley welcome you along with a well placed and discreet fenced in dog play area. 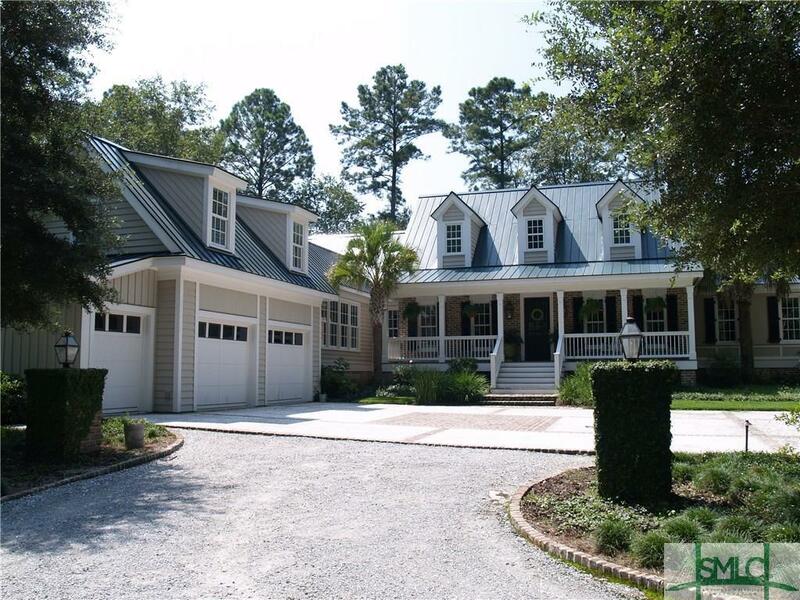 The carriage house boasts six bays with shop, locked gun room and future apartment above. Enjoy open lot with abutting park. 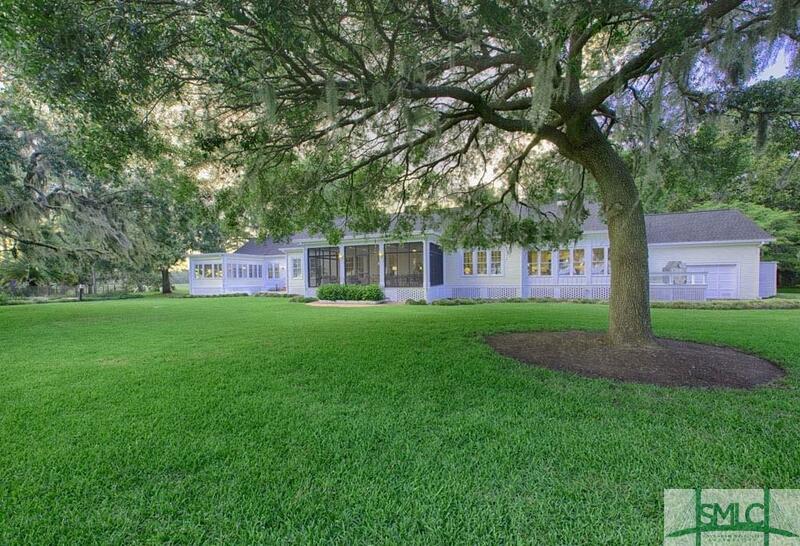 The home has been well maintained and is perfect for the discerning buyer. 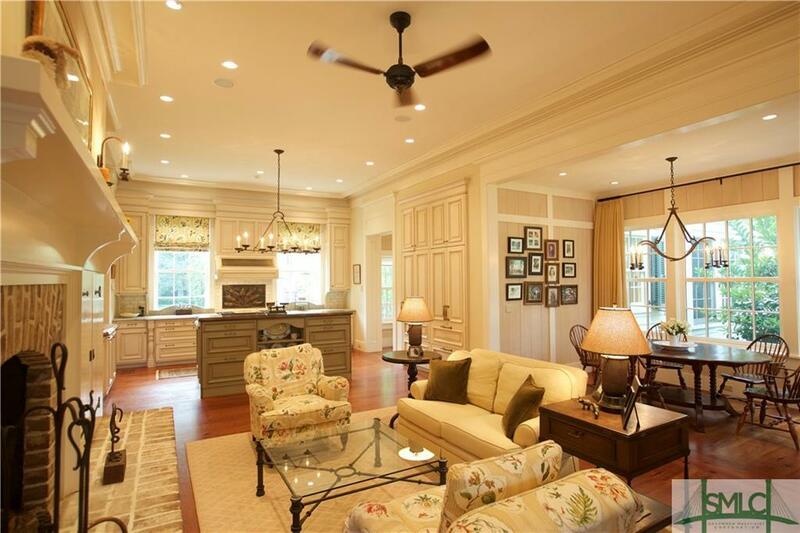 Entertain guests in the open kitchen/family room and enjoy breezes on the screened porch and verandas. 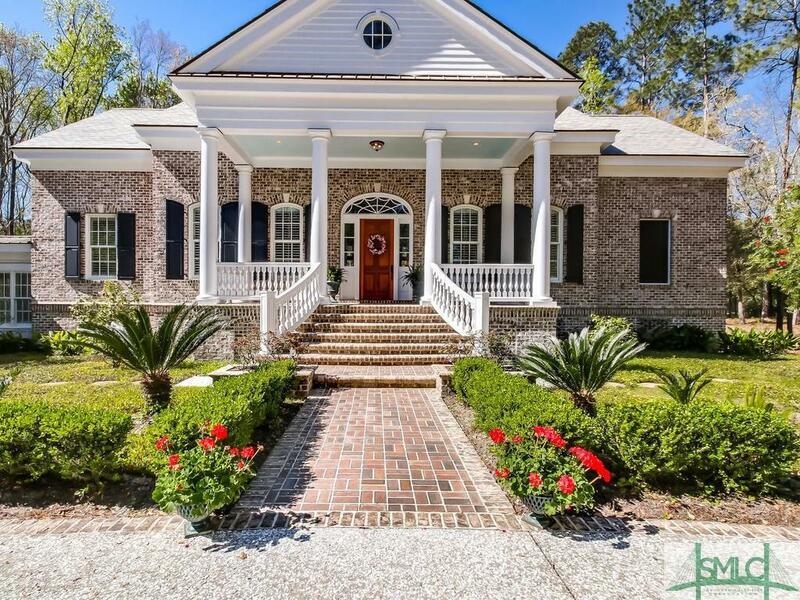 Impeccable, Midpoint Manor Home. 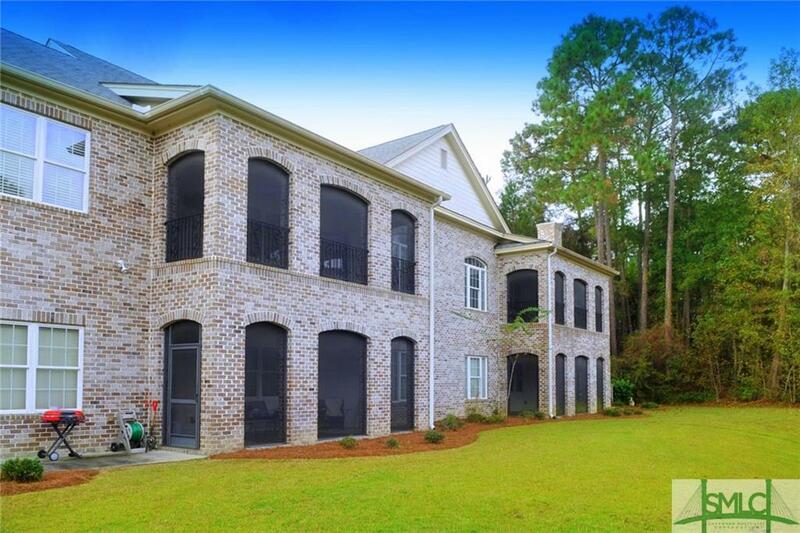 6167 Sqft 5 bed/ 5.5 Ba. w/possible 7 bed option. 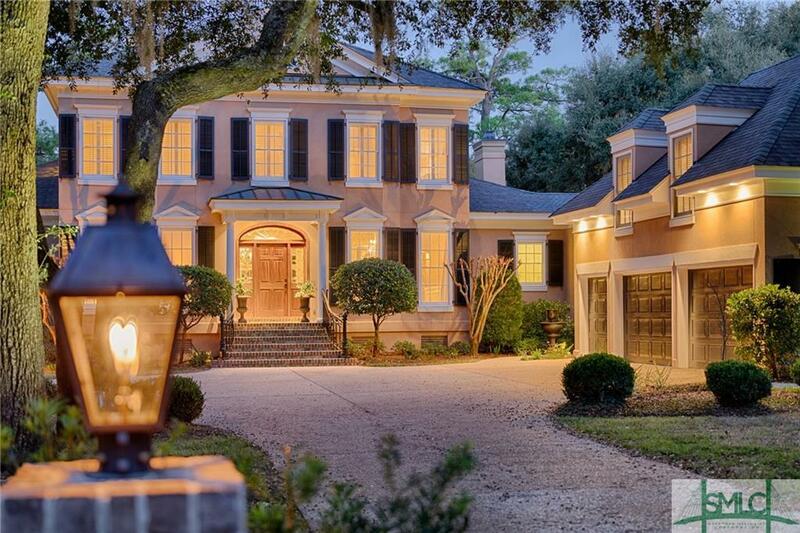 An impressive drive w/ gas lantern entry welcomes all. 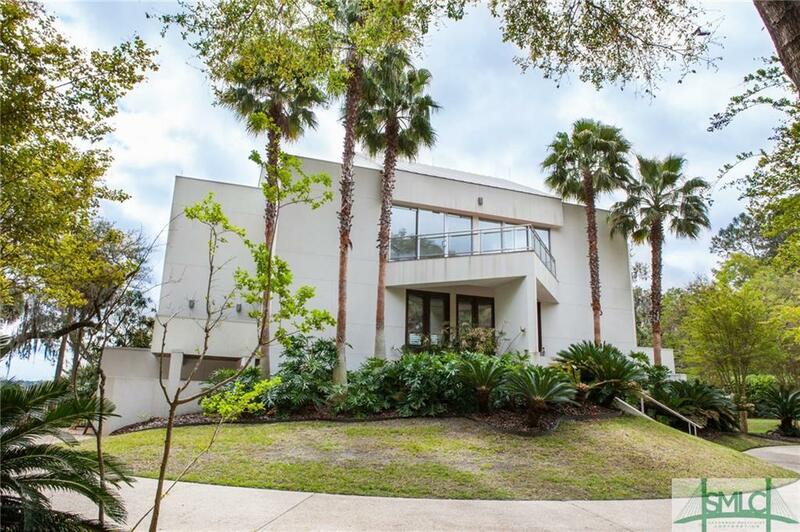 Elegant, custom finishes throughout, high ceilings, spacious great room, floor to ceiling windows, & Brazilian Cherry Floors. 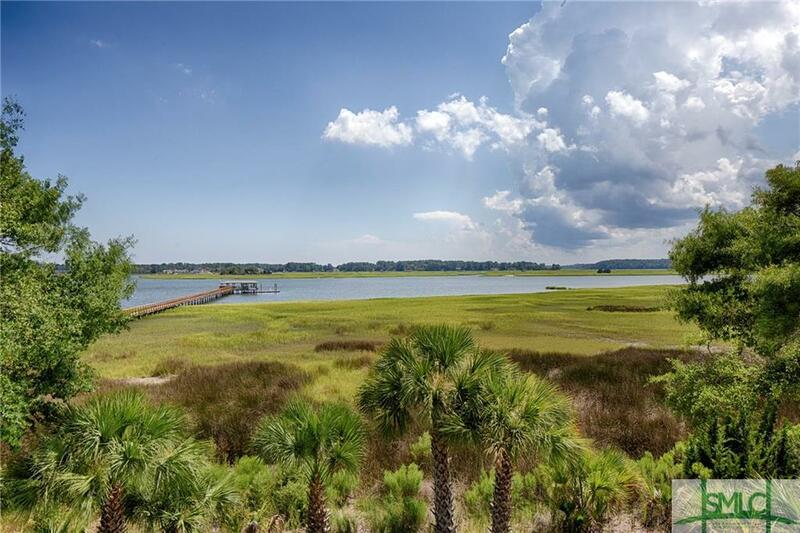 Located overlooking the 13th fairway of the Palmetto Golf Course. Upon entry, one immediately feels at home. The Understated Elegance sets an impressive tone for any gathering. The eye catches the views from the front door. Each main room flows seamlessly to the other. Separate library. Luxuriate in the beauty of the first floor Master Suite with Rotunda-style master featuring floor to ceiling windows & stunning views. The upper level reveals 3 bed/2 ba & a bonus room. A separate wing features a one bedroom suite, storage, laundry area & access to an over the gar. bonus room w/ bath. 3 car gar. Original Social Membership transfers with sale of property, valued at $10,000-$12,000. Click REEL for 3D VIDEO.